Thomas Brown came from Ireland, probably with his father William, and at least three brothers in about June of 1830. It is said they came from County Longford and went through Montreal. While visiting that old and amazing city in 2014, I tried to figure out where they would have come in and unfortunately they have not preserved their buildings that took the immigrants. I did learn that they could come to Quebec City or Montreal but once in Montreal they would have to go through the locks to go on the Ottawa River or locks to go further up the St. Lawrence, remember it flows northeast. There are diaries or books about the early travels of the immigrants in Canada and they are fascinating. There were two other potential siblings being researched. A Catherine Bird whose maiden name was Gregg and a Jeremiah Brown. They have been eliminated. So that leaves us with the four brothers listed above. What happened to the remaining seven children is unknown at this time. I have started to learn Irish research but it is slow going. In the Commemorative Biographical Record of the County Lambton, Ontario history book, which I have shared in past posts, Henry indicated that they were all deceased by the time he made his statements for the book. He died in 1899 and the book was published in 1906. Unfortunately, the 1851 Canadian census there is no coverage for Rawdon Twp. so it makes it difficult to find Thomas and Mary Brown in early years and anyone else who lived there. There is coverage for Belleville and a few other areas of Hastings in this census. Thomas Brown remained in Hastings County, settling in Rawdon Township. He married Mary Johnston on 14 January 1841 in Belleville. Mary was born about 1820 in Ireland. So far I have not been able to figure out who Mary’s parents are. A John Johnston and Thele Ward were witnesses at her wedding. A John Johnston is in the 1861 Rawdon Census at age 56 and married to Annis. I have seen Mary’s surname name spelled “Johnston vs. Johnson” in Hastings County. In that post I covered his marriage to Mary at the Saint Thomas Anglican Church, his death and burial in Saint Thomas in Belleville and the sad condition of that cemetery. See Find A Grave for more information about this cemetery. After the death of Thomas Brown, Mary remarried to Thomas Vance on 21 January 1851 at the Saint Thomas Anglican Church and had several more children with this man. Here are the descendants of Mary Johnston. I have broken it down between Mary’s first marriage to Thomas Brown and then the second marriage to Thomas Vance. As always please double check these findings, working with the surname of Brown can be very confusing and difficult so please do check the information given. Thomas and Mary (Johnston) Brown had the following children. Here is a summary and what will follow are more in depth posts about each of these children. 1. Henry Brown was born 6 November 1841 in Belleville, Hastings Co., Ontario. Source: Anglican Diocese of Ontario, Kingston, Ontario, St. Thomas Anglican Church registers #1098 Brown, Henry, 6 Nov. 1841. Henry married Catherine Mary Clark about 1863. She was born 25 May 1839 in England. They had the following children: Emma, John, Francis, Emily, Mary Matilda, Edith, William Chapman, Arthur V., Maud Mabel and Lulu. 2. Elizabeth Brown was born 6 July 1843 in Stirling, Rawdon Twp., Hastings Co., Ontario, she was baptized 14 Feb. 1844 at Saint Thomas Anglican Church. She married Thomas Bateman who was born 18 June 1837 in County Cork, Ireland. They married on 3 November 1864 in Toronto, York Co., Ontario. Elizabeth and Thomas had eleven children. They migrated to Illinois. 3. Philip Brown was born 6th July 1845 in Rawdon, was baptized 3 February 1846 in the St. Thomas Anglican Church. He died in 1929. He married on 24 December, 1869 in Rawdon Twp. to Elizabeth Matilda Patterson b. 1847 to Robert Patterson and Elizabeth. She died in 1924. Both Philip & Elizabeth are buried in the Stirling Cemetery in Stirling, Hastings Co., Ontario. I have posted their tombstone to Find A Grave. Philip and Elizabeth had the following children: Thomas Patterson Brown, Elizabeth Artilla Brown, Henry McKenzie Brown and Margaret M. Brown. Philip submitted a Heir Devise appeal regarding his father Thomas’ land and I will share in a future post. 4. Thomas Brown was born 12 October, 1846 in Rawdon and was baptized 28 January, 1847 at the Saint Thomas Anglican Church in Belleville. This man has been mixed up with another Thomas H. Brown who was a son of brother Phillip Brown. This Thomas Brown married Sarah S. Archer in 1874 and they moved to Colbourne, Northumberland Co., Ontario. 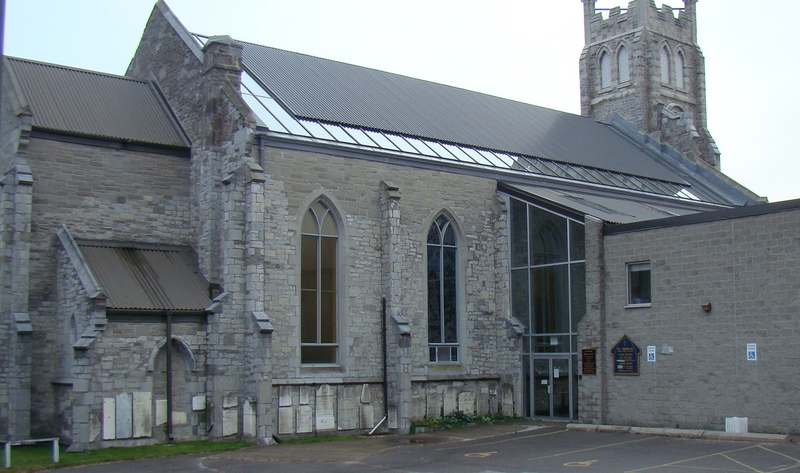 After Thomas’ death in 1848, Mary remarried to Thomas Vance on 21 January 1851 in Belleville at the Saint Thomas Anglican Church. He was born about 1820 in Ireland. Thomas Vance died 29 August 1861 in Rawdon, Hasting Co., Ontario. Please note that there are two deaths recorded in the Anglican Diocese of Ontario records for Thomas Vance. One Thomas Vance was 46 years old and died 29 August 1861 while the other was 85 years old and died 6 July 1865.  There is a Thomas Vance buried in the Thomasburg Cemetery per the Ontario Cemetery Finding Aid but there are no gravestones online for me to verify if it is him. So we need to remain open about this death date. Mary died 30 April 1886 in Rawdon and is probably buried in the Marmora Cemetery although I have not yet verified that fact. Together Thomas and Mary Vance had the following children based on the 1861 Canadian Census, see below. Here is a summary of their children. In a future post I will go into more depth on these children of Mary’s second family. 1. John Vance born 14 November, 1853. He married on 22 December 1874 in Rawdon to Catherine Montgomery, who was born 14 March, 1856 in Rawdon. John headed to Manitoba and he and Catherine are buried there. Catherine and John had three children. 2. Robert Vance born about 1855 and he married on 23 March 1881 in Huntingdon Twp., Hastings Co. to Mary Blakely born 17 June, 1862 in Huntingdon Twp., Hastings Co., Ontario. He and Mary had six children. 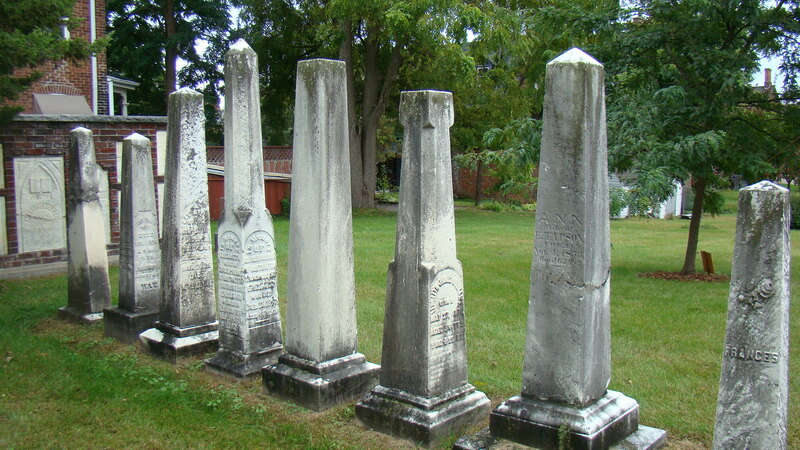 They are buried in the Stirling Cemetery in Hastings Co., Ontario. Robert appears in the 1861, 1871 and 1881 Census. Mary his mother is with him in the 1881 census. Line 6, 194, 196, Vance, Robert, M, 25, C. of England, Irish, farmer, M. Vance, Mary, F, 18, English, C of England, Irish, M. Vance, Mary, F, 65, [ ] C of England, Irish, W. Vance, Wm, M, 19, English, C of England, Irish. Source: 1881 Canadian Census, Huntington Twp., Hastings North, Hastings Co., Ontario, Dist, #122, Sub. D #A, Div. 2, page. 41. 3. William Vance born 30 August, 1857 in Ontario and died 16 July, 1930 in Chatham, Kent Co., Ontario. William Vance married a Mary Ann Johnston on 23, November, 1881 in Huntingdon, Hastings Co., Ontario. William and Mary headed to Chatham in Kent County and lived out their lives there. They had three daughters. I do not know if his wife is related to his mother. She might be a cousin. 4. Margaret J. Vance was born 6 November, 1859 and died 26 December, 1930 in Ivanhoe, Hastings Co., Ontario. She is buried in the White Lake Cemetery in Ivanhoe. She married John George Wood, son of John Wood and Mary, on 14 September 1881 in Hasting Co., Ontario. They had six children. All the children both Brown and Vance appear in the 1861 Canadian Census with Mary and Thomas Vance. We see a mixed family. Source: 1861 Canadian Census, Rawdon Twp., Hastings Co., Canada West. C-1033, pg. 26. In the 1871 Canadian Census for Hastings there is a Vance family living in Rawdon with a Mary as head and the next house down is Phillip Brown with Matilda. There is a Thomas Vance born about 1847 in the household, which is before her marriage to Thomas Vance in 1851. We do not know much about Thomas Vance, Mary’s husband’s family so this young Thomas is probably a nephew? Line 7, 69, 74, Fance/Vance, Mary, F, 61, born Ireland, Ch of E, All Irish, Widow. Source: 1871 Canadian Census, Rawdon Twp., Hastings Co., Ontario, page 20, 62 North Hastings, No. 2 Div. In the following pages I will share more information about the children of Thomas and Mary Brown: Henry, Elizabeth, Phillip and Thomas. I will also discuss the Heir Devise application of Phillip Brown their son. After I have completed these Brown children, I will share more about the Vance children: Thomas (no further info), John, Robert, William and Margaret. This entry was posted in Archer Surname, Belleville, Blakeley surname, Chatham Kent Co., Clark surname, Hastings Co., Illinois, Ireland, Johnson or Johnston surname, Lambton Co., Manitoba, Mary Johnson 1820 to circa 1886, Montgomery surname, Paterson or Patterson surname, Rawdon Twp., St. Thomas Anglican Belleville, Stirling, Stirling Cemetery, Thomas Brown 1810 to 1848, Thomas Vance 1820 to before 1871, Toronto, Trip to Ontario and Canada 2014, Vance surname, Wood surname and tagged A Brown Family of Hastings County, A Vance Family of Hastings County, Canadian family research, Hastings County genealogical research on April 4, 2015 by BJ MacDonald.